We’ve been doing a lot of bike riding these days, training first for the Pan Mass Challenge and now for the Buzzard’s Bay Coalition’s 10th Anniversary Ride. We thought we might share with you some of our favorite local bike rides. They’re all roughly between 20-30 miles because we’ve found that’s the correct mileage needed in order to indulge in Betty Ann’s black magic sundaes without any negative consequences. I’ve linked to the routes on Strava so you can download the maps. Rather than rating these rides by level of difficulty, we rate them by access to ice cream — the number of ice cream shops along (or very near) your route. Strava does not give you this critical information. 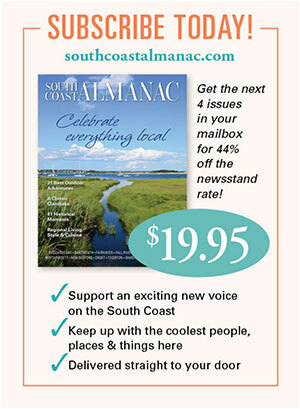 That’s why South Coast Almanac is better. Sometimes I feel like I’m in Vermont ride with its beautiful country roads. Sometimes I feel like I’m in Minnesota (though, to be completely upfront, I’ve never been to Minnesota…I’ve just internalized its license plate motto – 10,000 lakes). I just always feel like I’m away when I’m on this ride. Which is why I love it, even though the ice cream rating is low. Ice Cream at Robin’s Nest in Rochester. Ice cream novelties at Plumb Corner Market, Rochester. 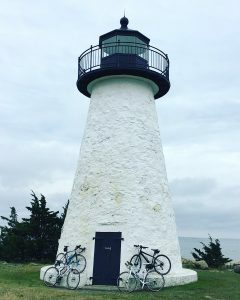 I am enamored of lighthouses so this ride starts and ends at Ned’s Point Lighthouse and the destination is West Island which is itself spectacular. Along the way, you pass through Mattapoisett’s lovely waterfront, the Bluefish home (described here), the Phoenix bike path, and windmills. Ice cream at Mac’s Soda Bar in Fairhaven, Seaport Ice Cream Slip in Mattapoisett and just off the route at Oxford Creamery, Mattapoisett. Despite the low ice cream rating, I love this loop. Cranberry bogs, ponds, pristine farms and Buzzards Bay views. As you approach a bend in the road going out to the Kittansett Club, look up at the telephone poles to see the osprey nest and, if you’re lucky, the family will be home. Stop at the farmstand on Point Road, buy a fresh-grown tomato and eat it like an apple. Ice Cream is available just off the route in downtown Marion at Sea Dips. 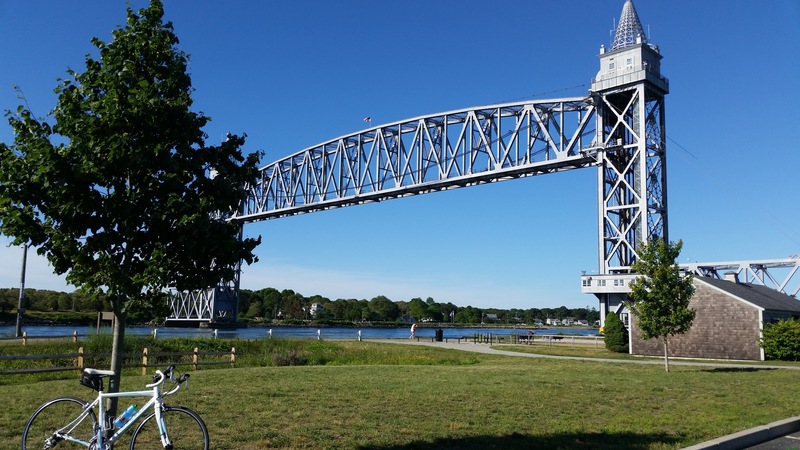 This is a 19 mile ride that is one of my favorites because I can never get enough water views and this one boasts salty views more than three-quarters of the time. Also, it’s flat. Also, look at the ice cream rating. I spend most of the ride back trying to figure out how to game the wind (is there a time of day to avoid it? Is there a time when the wind shifts and you can use it both ways?) Mother Nature just laughs at me and turns up the breeze. Note: There is a short distance on Cranberry Highway which includes a rotary. If you’d prefer not to tackle that, simply park at the canal and do the 14 mile ride on the bike path. 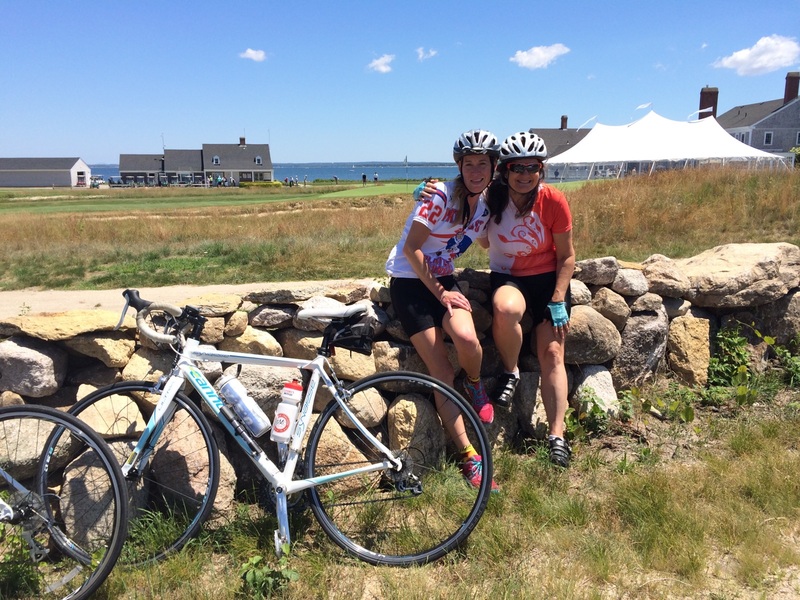 You’ve got everything on this ride: polite drivers, country roads, rock walls, farms, marshes and sea. If I lived closer, this would easily be my go-to ride. Stop at the Lloyd Center to climb up to its observation deck for breathtaking views (detailed in our Only on the South Coast article in the 2016 edition). DO YOU LIKE PAPER MAPS? 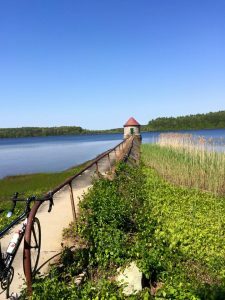 If you’d like to find your own special rides and if you love paper maps so that you can see the whole picture, rather than just your small screen, check out Bike Friendly Mattapoisett, a map with great biking recommendations brought to you by the Friends of the Mattapoisett Bike Path (available at the Town Wharf General Store), and Rubel’s Eastern Massachusetts Road and Bicycle Map (available at Yesteryear Cyclery in New Bedford). 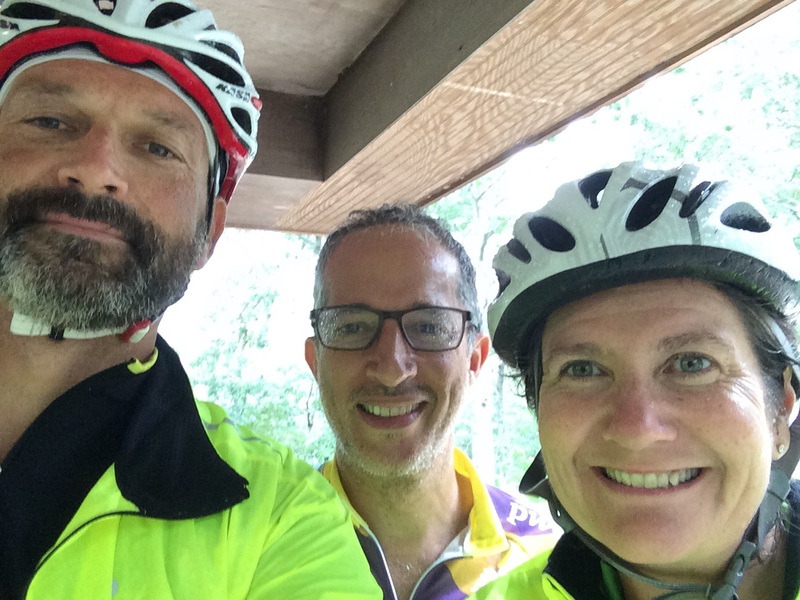 This entry was posted in Outdoors, Biking, Outdoors and tagged in biking, ice cream, outdoor. Thanks Dotty! We hope you bring your bikes to Onset with you and try one of the rides out! The East Bay Bike Path is a 14.5-mile (23.3 km) paved rail trail in Rhode Island. The path begins at Providence and India Point Park, crosses the Seekonk River via the George Redman Linear Park (opened September 2015) and Washington Bridge and continues southeast to Bristol along the shoreline of Narragansett Bay. There are parking lots in East Providence which cuts it to about 25 miles round trip. Developed from an old rail line along the bay. Absolutely the premier bike path in the area. Yes, I have been on all the others shown.